The Disambigua is an interesting bathroom item that will offer you a single solution for two of your imperative needs: partial and complete wash. If that sounds too ambiguous then let me elaborate! Turn the Disambigua into one direction and you end up with a washbasin ready for your partial wash. Reverse the Disambigua and you’ll end up with a full bathtub ready to offer you complete cleanliness. All you have to do is keep spinning the Disambigua to get to your desired bathroom item. 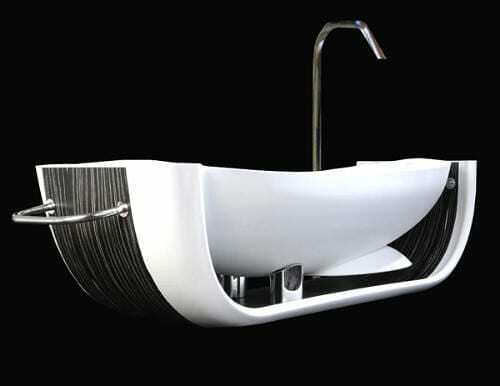 Designed by DiciannoveDieci Design the Disambigua Bathtub is certainly an interesting multi-purpose furniture item and considering it knows more than one trick you might be interested in giving it a full job inside your modern bathroom.